Within his final days on this earth, David Bowie dropped arguably one of his most experimental and unique “anti-pop” albums since the seventies: “Blackstar”. This otherworldly LP is composed of seven remarkably rich pieces that exude both youth and spirit as well as bringing a unique twist to Bowie’s full repertoire. Self-expression and beauty were redefined during Bowie’s unparalleled reign over music. His melodies manifested both an unsurpassed passion as well as an individuality that was uniquely Bowie. These incomparable characteristics remained with Bowie through the final days of his life, and are clearer than ever before in his most recent works of art. The title track is a lengthy nine and a half minutes, with twists and turns and the feeling of deep nostalgia. 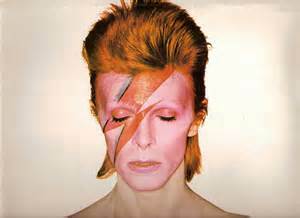 Bowie gives the whole album that epic feel that he did so well with “The Rise and Fall of Ziggy Stardust” and much of his early work. The attestation is perfectly clear to all who listen to this haunting masterpiece: David Bowie has done it again. But Bowie did more than replicate the exuberance of his younger days in Blackstar, he also brought to his album a new, eerie, exploratory vibe that radiates strange and whimsical beauty. Filled to the brim with jazzy saxophones and simplistic, futuristic beats, the record was a grand finale for the beloved Bowie. Released on his 69th birthday, the album got significant attention in the week following his unpredicted passing on the 10th of January. In our own Ashland record store, the Music Coop, the record did not even hit the shelves until later that week due to the incredibly high demand. Within 24 hours of his death, Bowie’s video for “Lazarus,” a song off the latest record, racked up 51 million views. This ultimately blew vocal artist Adele’s video for “Hello” out of the water, which received 36 million views in the month of October. It was no wonder that Bowie’s video got so much attention; as soon as he passed, rumors began to fly about how he hinted about his death in the video. The narrative of the film is truly quite strange, featuring Bowie writhing around on what seems to be his deathbed, and perhaps even paying his audience a farewell before his final “oddity” to space. The tune of the song is hauntingly beautiful, and the lyrics are rich with strange diction that leaves the listener jarred and contemplative. Overall, David Bowie’s recent feat is a truly fantastic album. The record is surprising and edgy, and continues his legacy in the most perfect way possible. David Bowie left this world with a bang, touching the hearts of people all around the world and leaving behind his own unique goodbye to us all.